Emma Chukwugoziam Obi, also known as Emma Nyra is a Nigerian-American Afro pop singer. She was born and raised in the US and after completing her Bachelors Degree in Health Care Administration in 2010, she decided that she wanted to move to Nigeria pursue her dreams of modeling, acting, and most of all, singing. 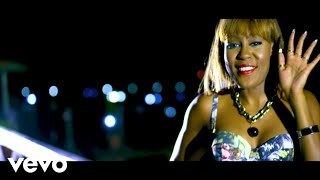 Having lived in the United States, for majority of her life, then moving officially to Nigeria in early 2012, Emma Nyra has mastered the art of infusing Afro beat with a hint of American style in her music that her many fans adore. Emma Nyra had transitioned to Lagos, Nigeria with the full intent of taking her musical aspirations to the next level. Upon the release of her singles, ‘Everything I Do’ ft. Iyanya, ‘Ori Mi Wu’ both produced by the mastermind behind ‘Kukere’, D’Tunes, Kereshere produced by Mr. Chido and Amigo produced by Selebobo, Emma Nyra is best known for her smash hit single Elele ft. Davido and, her latest smash hit, For My Matter produced by DJ Coublon. Early 2016 the remix for the hit For My Matter will be released featuring VP Records own, Patoranking. Emma was born on July 18, 1988 in Tyler, Texas. She is she second child of four born to parents Emmanuel and Maryann Obi who were both born in Asaba, Delta State, Nigeria. She attended St. Gregory Catholic School, Andy Woods Elementary School, Hornedo Middle School, and Franklin High School before obtaining her degree in Health Care Administration at Texas Southern University. Throughout all of her year's in school, Emma was always active in the school choir and would go to compete successfully in state wide competitions. She was awarded a high school letterman for her accomplishments as a classically trained opera singer. Emma Nyra has become a mainstream force within the African entertainment industry. All of her singles have gotten massive airtime on major radio stations in Africa, the UK and other places around the world. The singles have also garnered high rankings on top music charts, music sharing and streaming sites. Since the very beginning of Emma Nyra’s career until now, she has performed at over 700 shows, hosted dozens of red carpet events, completed more than 100 runway fashion shows, and acted in 2 Nollywood films. She has performed at more concerts than any other Nigerian female artist in this time period and is one of the top female Nigerian artists in the industry. 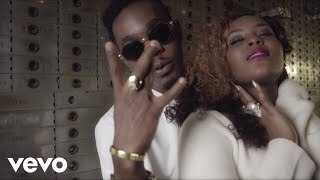 Emma Nyra made her first mainstream debut featuring in Iyanya's smash hit Ur Waist. She then went on to release her own singles and tour the US and Canada in 2013 and 2014 and also tour Europe in 2013. Emma Nyra is known for her electrifying performances on stage and has been nominated and awarded with several awards. These awards include, Most Promising Female Act NEA 2013, Most Fashionable Female, Most Outstanding Female Artist, Global Leadership Award for her Role In Women Empowerment, and more. Emma has featured on the front cover of many magazines and has also shared the stage with many of the top African acts. In Spring 2015, Emma co-headlined the African Showcase at SXSW and was featured as the only female artist on the bill with top African acts such as R2bess, Sarkodie, Davido, Ice Prince, and many more. Emma Nyra has also gathered an impressive fan base with hundreds of thousands of people following her on various social media platforms such as her verified handle on Twitter, Instagram, Facebook, and others. Emma Nyra’s youtube and VEVO channels have generated collectively over 1,000,000 views worldwide. Between her verified social media handles, Emma Nyra many followers and has proven to be extremely marketable. She is ready push her career to the next level by building upon her fast rising brand. Stay tuned for what this break out star has in store for the future!